Premium vegan friendly Lemon Myrtle exfoliating soaps scented with pure Lemon Myrtle essential oil, sourced from the Byron Hinterland. Particularly gentle on the skin but with a high percentage of pure Lemon Myrtle oil, this soap bar leaves you feeling refreshed and invigorated while giving you the therapeutic qualities of Lemon Myrtle essential oil. 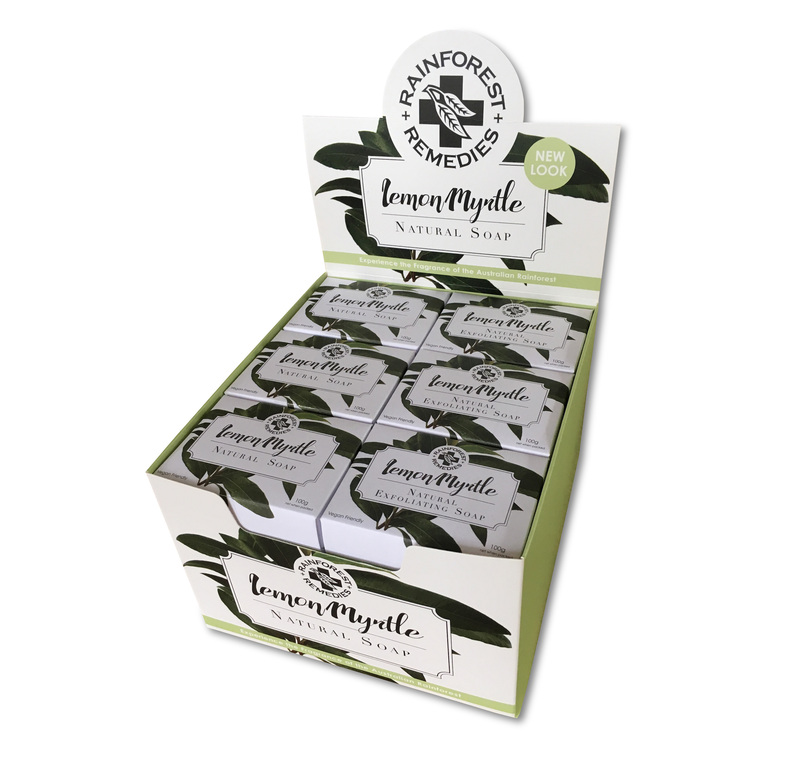 Our lemon myrtle soaps contain natural antibacterial, anti inflammatory and anti fungal properties. Contains hand crushed Lemon Myrtle leaves. Display box contains 24 x 100g Exfoliant soaps. Buy this box and save on price and qualify for free shipping!